Black Lightning is a new series that started up on The CW last year and except for the token scientist character with a mysterious intelligence agency background, the show is steeped in deep, dark issues that inner city residents have to deal with and it's brought to the forefront in this show. The show focuses on the primary character, Black Lightning, who had retired from being a superhero but events of late force him to take up the mantle once again, with trepidation. But as the story develops, we watch the bigotry and prejudice he and his family have to out up with while the newest street gang gets pretty brazen about taking over the town. 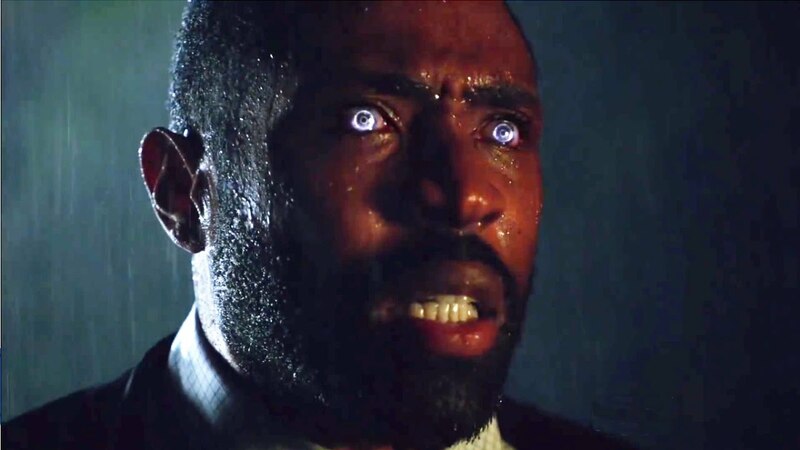 But along the way, as we learn how he became Black Lightning, and as the first season develops, we see that his daughters have inherited powers of their own, and watch their struggles learning to temper their abilities. It stars Cress Williams, China Anne McClain, & Nafessa Williams. This show really caught my attention and I couldn't wait for each new episode each week. The only weak point of the show is James Remar's character, who seems very atypical for a superhero side-kick/assistant/scientist. Otherwise, I love this show.